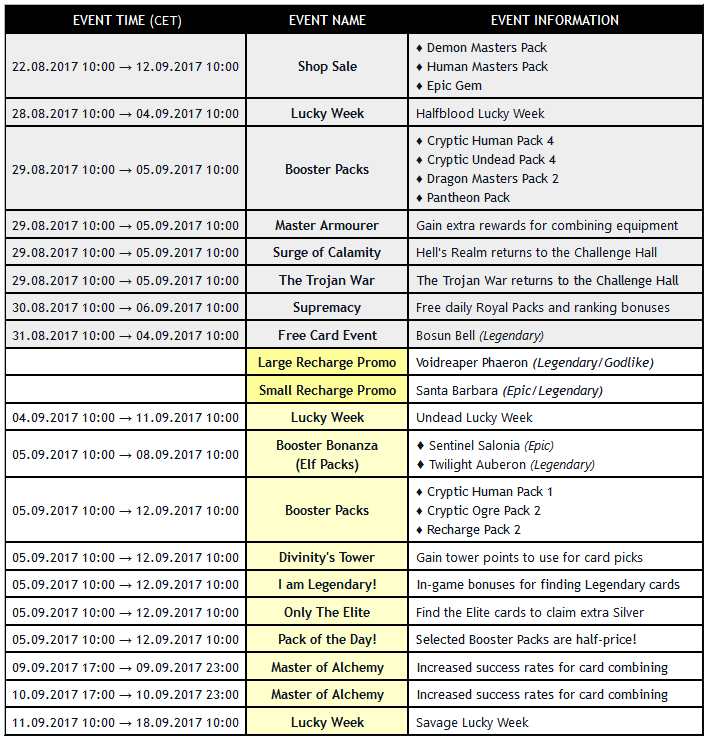 Here is a preview of the events which are currently scheduled for the beginning of September. The image will be updated to reflect any changes or additional events. Check out the Patch Notes for any bug fixes and a glimpse of the new recharge cards. Remember to clear Cache and Cookies after every maintenance to decrease visual bugs! Here is a preview of the events which are currently scheduled for the remainder of September. The image will be updated to reflect any changes or additional events. Check out the Patch Notes for any bug fixes and a glimpse of the new recharge cards.